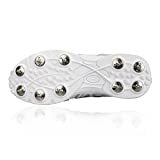 Kookaburra KCS 2000 Cricket Spikes Superb design and a contemporary feel make Kookaburra footwear a serious proposition for cricketers at all levels. 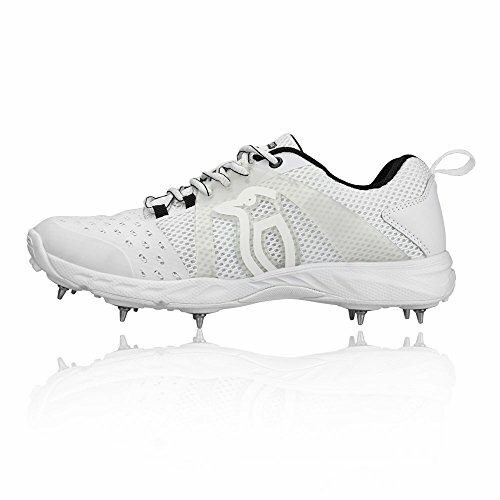 Breathable Mesh Upper The upper of the KCS2000 is made using a breathable mesh material, ensuring your feet remain cool and dry as you play. The mesh actively and efficiently wicks away the build-up of excess sweat and moisture as well as encouraging cool air to circulate, creating a drier, healthier environment for your feet to thrive. Furthermore, the mesh is highly durable to keep your feet protected. 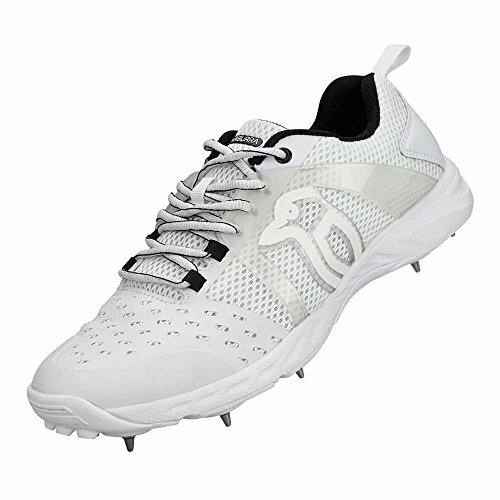 Working alongside the mesh is PU and Latex which provides superb comfort and durability while Kookaburra cage technology offers essential mid-foot support. An integrated padded tongue adds to the comfort as well as sitting comfortably against the skin, preventing friction and irritation such as chafing. 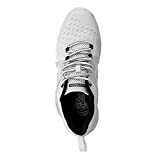 An athletic style slip last offers support while the thermoplastic heel counter increases stability to a potentially susceptible area. The ankle is also padded for extra protection. Low Profile EVA Midsole A low profile, EVA compound resides in the midsole to deliver exceptional cushioning and comfort. This helps improve landing and feel as you move whether you are batting, bowling or fielding. The EVA also attenuates shock and impact, offering comfort and protection. 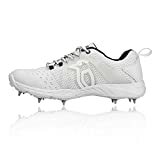 Further shock absorption is provided by the lightweight insole, located at the heel and forefoot, supplying additional protection in vulnerable areas. 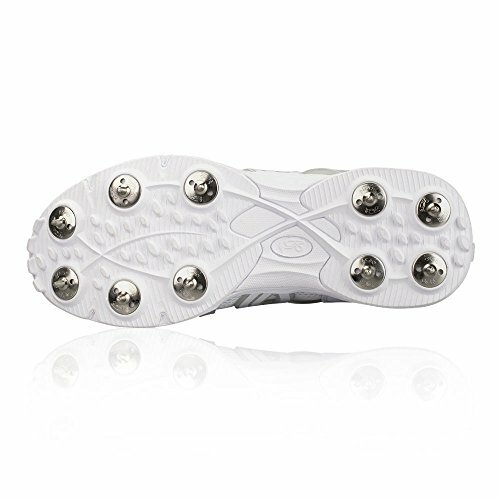 Premium Spike Outsole Optimal grip and traction is provided by the premium spike outsole to deliver a firm, assured footing. Having the added stability and traction will enable you to move with confidence and push yourself to the limit, gaining the edge over the opposition. Strategically placed spikes enhance flexibility as well as ensuring a full, unrestricted range of motion in all directions.